Now that exploratory talks on changes to nurses’ pay have begun between nurses’ unions, employers and government, a multitude of options and potential outcomes are emerging. One area on which nurses’ representatives would like to reach agreement is updating the Agenda for Change (AfC) incremental pay point structure. The total number of pay points in the nine Agenda for Change pay bands. After seven years of public sector pay restraint, much of it entailing a 1% cap on nurses’ pay, the RCN, Unison and other staff side negotiators say they want to ensure it will be possible to reward skills, competence and experience gained over time. The AfC pay system was implemented in the NHS at the end of 2004. It introduced nine pay bands each containing a number of incremental pay points, which nurses can move up if they demonstrate the required knowledge and skills. Removing overlaps between the current AfC pay bands. Reducing the number of incremental pay points in the bands. Correcting inconsistent gaps between the increments. Preserving the link between pay bands and the AfC job evaluation scheme. As an example of an overlap, a nurse earning £28,746 on the highest pay point in band 5 would have to be promoted to the third pay point in band 6 to receive the same salary, since the starting point for band 6 is £26,565. The staff side unions say they want promotion to mean something tangible and suggest that addressing these overlaps would help recruitment and retention, and thus productivity. They also say there are too many incremental pay points in some bands, and due to the time it takes to move up them they may discriminate against those who take leave when having children. The length of some pay bands means it can take years to reach the top increment. Newly qualified nurses join the Nursing and Midwifery Council register at band 5, which contains eight incremental pay points. Similarly, there are nine incremental pay points in bands 6 and 7. Unions say that if there were fewer points and staff reached the top of bands more quickly it would help recruitment and retention. The value of increments in relation to a nurse's salary. Source: Department of Health and Social Care. Lead staff side negotiator Sara Gorton, who is Unison head of health, says the incremental scales within bands were originally regarded as a work in progress, not the final system. Work was last undertaken to shorten the pay bands as part of the 2008 multi-year pay deal negotiated for the NHS, but the project was halted due to restraints resulting from the global financial crisis. Ms Gorton says it’s important to preserve the link between the pay bands and the job evaluation scheme that assesses every job in the NHS against a set of common criteria. This process gives each job a weighting and a score, meaning that jobs with similar scores fall within the same pay band, so for example an accountant enters at band 5, the same as a newly registered nurse. Staff side negotiator Sara Gorton. However, she believes that financial pressures in the NHS mean many jobs are not being re-graded against the job evaluation scheme where they should be. She also points to instances of ‘downbanding’ of nurses by certain employers in an effort to save money. A Nursing Standard investigation into downbanding found more than one in four trusts had cut band 7 and 8 nursing jobs in a five-year period. Ms Gorton says: ‘It’s been evident that the financial situation has put pressure on the banding structure. The staff side approaches the AfC banding system on the basis that the top of the band is the proper rate for the job, and the increments within the bands are staging posts to get there. Ms Gorton says there is a misstep between some of the increments in the bands and the job evaluation scheme that underpins the system. She says some band 2 staff are expected to gain the full knowledge for their role over a short period of time, yet despite this the current incremental points mean they may wait six years to earn the full rate for the job. Not only this, but the gaps between the increments within bands need to be adjusted because they are inconsistent, she says. 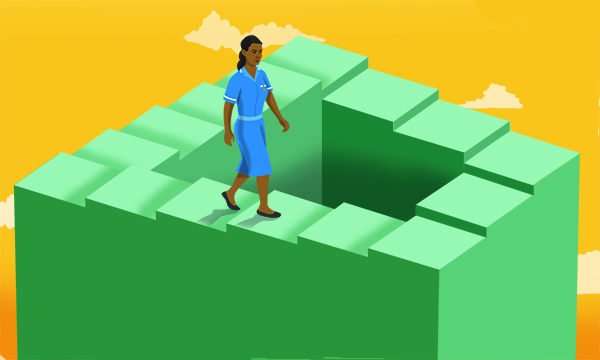 Despite these challenges, RCN associate director employment relations Josie Irwin says incremental points serve a useful purpose as they help retention by valuing both experience and competence in the role. The first pay point in band 5 in Scotland, marginally higher than the equivalent in England, Wales and Northern Ireland. 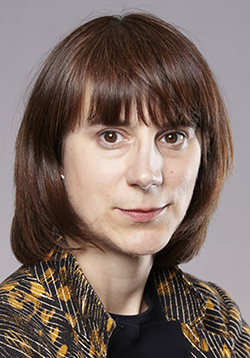 Ms Irwin says: ‘It is no secret that it would be the Treasury’s preference to get rid of increments altogether and opt instead for a performance-related pay system or spot rates. ‘The Treasury’s view is that increments build in-year pay increases to the pay bill. Ms Irwin says there is no evidence of a direct link between receiving a performance bonus and productivity or better performance – the government argument for such a system. ‘There is evidence, however, that performance-related pay – in which workers have to jump through hoops before they get their incremental rises – actually demotivates and can work against effective performance,’ she says. A Department of Health and Social Care spokesperson says: ‘Discussions between NHS Employers and unions to agree this new pay deal have been constructive, but we do not wish to pre-empt that. The next article in this series will look at linking productivity to pay. In its evidence to the independent NHS Pay Review Body, the Department of Health and Social Care says the government’s long-standing pay policy is to remove automatic incremental pay from public sector pay systems. It says: ‘In the NHS, although the 2013 AfC national agreement gave employers locally the flexibility to develop their own criteria for linking incremental pay to performance, we understand that most employers continue to operate virtually automatic incremental pay systems. Nurses’ unions say that in the past the government has talked about moving NHS staff onto spot rates, or a pay structure that has a set salary rather than an incremental pay point system. There is a concern that this could be the intention of the current government. 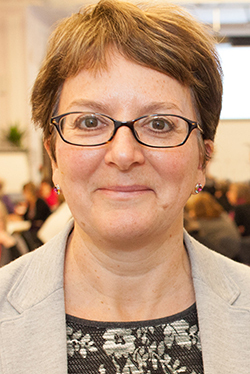 Unison head of health Sara Gorton says: ‘If you look at other sectors outside the public sector, a lot of organisations use spot rates, with a performance bonus where you have to meet a set of criteria. ‘Or many private companies might make discretionary bonus payments.